Oregon Congressman Launches Ad Campaign to End Federal Marijuana Prohibition. US Rep. Earl Blumenauer (D-OR) today began an advertising campaign to win support for ending federal marijuana prohibition. Blumenauer is a cosponsor of House Resolution 499, the Ending Federal Marijuana Prohibition Act of 2014. "Our marijuana laws don't work and cost the government billions," he said. "Federal drug law says that marijuana is more dangerous than meth or cocaine, and that is false." DC Rep. Eleanor Holmes Norton Vows to Defend District Marijuana Reforms from Congressional Republicans. 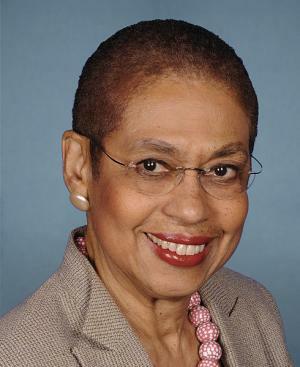 In an effort to stop what could be the first step to overturn the District of Columbia's local marijuana decriminalization legislation, Congresswoman Eleanor Holmes Norton (D-DC) has announced she will testify at a hearing of the House Oversight and Government Reform Committee's Subcommittee on Government Operations in May on the District's newly-passed decriminalization law. Norton said that she was surprised to learn of a hearing that will single out the District's locally passed law. "It is appropriate for Congress to examine how the Obama administration will enforce the federal prohibition on marijuana in jurisdictions that have legalized or decriminalized it, as the subcommittee has done in two hearings this Congress," Norton said. "It is also appropriate to examine whether the federal marijuana prohibition preempts such local laws, but no local officials were called to testify at those hearings. It is inappropriate to hold a hearing on the local marijuana laws of only one jurisdiction, the District of Columbia, when 18 states have decriminalized marijuana, 21 states have legalized medical marijuana and two states have legalized marijuana. There is nothing that distinguishes the District from these states except for Congress's illegitimate power to overturn the democratically enacted local laws of the District." Congress has 60 days to attempt to block the DC decriminalization law. Brooklyn DA's Decision to Stop Prosecuting Small-Time Marijuana Cases Garners Support. Today, Brooklyn elected officials, community groups, and advocates rallied on the steps of Borough Hall to support District Attorney Ken Thompson's proposal to stop prosecuting people arrested for possessing small amounts of marijuana. A memo outlining DA Thompson's proposal, shared with the press, states that when the police make a low-level marijuana arrest and the defendant has no criminal record or a minimal criminal record, "there will be a presumption that such case will be immediately dismissed." Click on the link for more reaction to Thompson's move. Child Psychiatry Group Opposes Legalization. The American Academy of Child and Adolescent Psychiatry (AACAP) has released a policy statement opposing efforts to legalize marijuana. Instead, "AACAP supports efforts to increase awareness of marijuana's harmful effects on adolescents and improve access to evidence-based treatment, rather than emphasis on criminal charges, for adolescents with cannabis use disorder. AACAP also urges careful monitoring of the effects of marijuana-related policy changes on child and adolescent mental health. Together, these efforts may help with the prevention of teen marijuana use during a critical period of ongoing brain maturation." Minnesota Medical Marijuana Bill Wins Senate Committee Vote. The long, strange saga of Minnesota medical marijuana continues. The Senate Committee on Health, Human Services and Housing today approved Senate File 1641, which would give patients with certain medical conditions access to a limited amount of marijuana. The measure now goes to the Senate Rules Committee. Philadelphia's "Tainted Justice" Narcs Avoid Criminal Prosecution, Could Get Jobs Back. After years of investigation, federal and local prosecutors have decided not to file criminal charges against four Philadelphia narcotics officers accused of lying about evidence on search warrants and stealing from corner stores during raids. One of the officers was also accused of sexually assaulting three women. Sources familiar with the investigation said authorities cited weak witnesses and a lack of evidence as factors in their decision not to bring charges. The officers -- who were at the heart of a scandal that shook the department five years ago -- now face possible disciplinary action from the Police Department. But it is likely they will soon be placed back on the street and even awarded lost overtime pay. The officers were the subject of a 2009 series by the Philadelphia Daily News that won a Pulitzer Prize for investigative reporting. The series, "Tainted Justice," detailed dozens of narcotics cases in which officers were alleged to have stolen, lied, and mistreated suspects. Click on the link for the whole sleazy story. Wisconsin Becomes First State to Require Outside Agency Involvement in Investigating Deaths in Police Custody. Gov. Scott Walker (R) has signed into law Assembly Bill 409, under which Wisconsin will become the first state in the nation to require outside investigation when people die in police custody. The new law is the result of years of activism on the part of family members and a Milwaukee-Journal Sentinel investigation into five years of in-custody deaths in Milwaukee. Despite circumstances of detainees' deaths, officers were typically quickly cleared of wrongdoing. Connecticut Bill to Shrink "Drug Free Zones" Dies. Legislation to reduce the size of "drug free zones" around schools died quietly in the Education Committee on Thursday. Senate File 609 failed on an 11-17 vote with no discussion. The bill's failure is frustrating for proponents who have sought the legislation for years. The proposal has twice been endorsed by the state's nonpartisan Sentencing Commission. The bill made it as far as a floor debate in the House last year, but was shelved when support began to wane among Democrats. Drug Decriminalization Coming to Malta? Maltese Justice Minister Owen Bonnici said Thursday that a proposed drug law reform his government is working on will be "significantly broader" than previous failed reform efforts and hinted broadly that it would include drug decriminalization. But details remain sketchy, so stay tuned. They think that protects children. They like forcing adults and children to use alcohol to get a buzz, despite all the death and destruction it brings. They like forced treatment, as useless a waste of money as there is. They like to see drug cartels threaten national security. They like to see kids and their parents caught in the crossfire of drug gang wars. They like drinking their booze while they laugh at the people they're screwing because they make a safer choice to use weed. Despicable hypocrites and control freaks whose motto is do as I say, not as I do. But if they can use alcohol, then other folks have the perfect right to use weed. No bogus piece of crap law can change that. How can Eleanor Holmes be shocked? She stabbed a knife in Grassley's cash cow corn ethanol business in Iowa. If marijuana becomes legal, then hemp becomes legal and Iowa's corn would no longer be the preferred ingredient of ethanol.